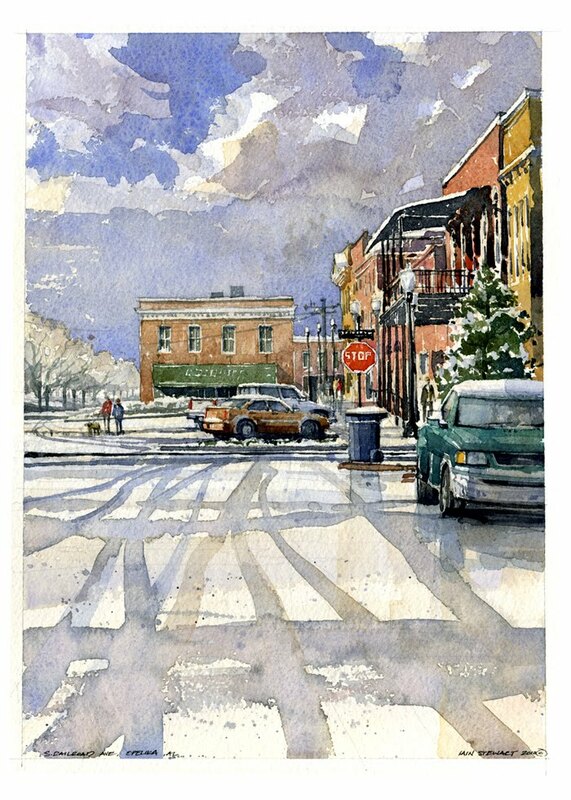 Well, a little bit late on this one, but my painting South Railroad Avenue in snow was juried into the Watercolor Society of Alabama's 69th National Exhibition. I mention this as I have just finished framing the little fella and will be driving down to Troy to hand deliver it for the show. Nice not to have to ship to CA for this one. 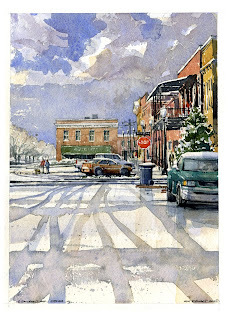 I think I could have shipped myself to the NWS show cheaper than the painting that got in. Here's the one that made it to the Alabama show. It's a great honor and just a little more sweet as I'm on home turf for this one. Thank you Arti. Nice to see some new faces here. Hope you enjoy.